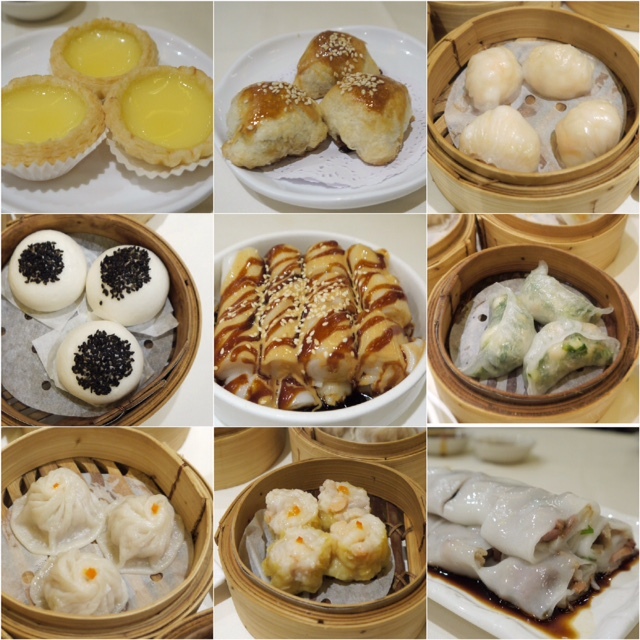 The other week we headed to London for a spot of shopping and Dim Sum at Royal China in Queensway with Lucy. For those who have never heard of "dim sum" the way I describe it to my colleagues at work is that it's a bit like spanish tapas lots of different small dishes. The term "dim sum" refers to a huge selection of bite sized dishes typically served over a long brunch and served with tea which is why in cantonese it's also known as going to "drink tea" (yum cha). 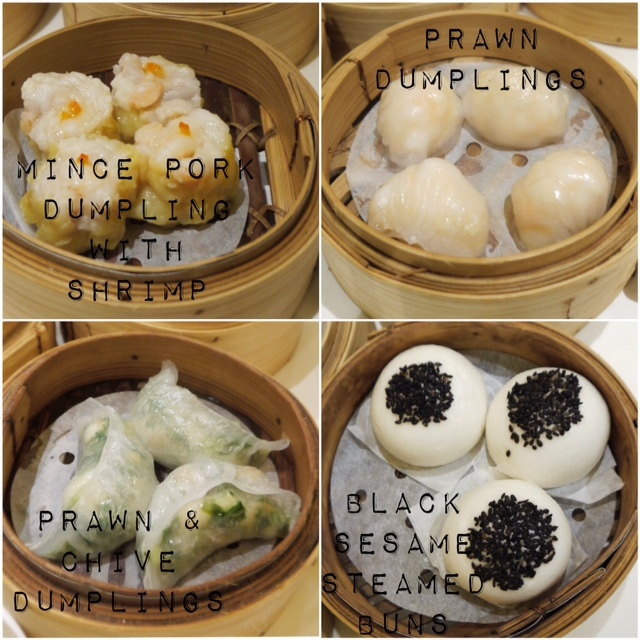 The most popular types of dim sum ranges from buns, dumplings, wraps & noodle rolls (often filled with a mixture of meat, veg and fresh seafood) to tarts, puffs and puddings. Soon as we were seated we quickly flicked through the menu of options, to be honest if you are chinese the way you generally order is with everyone shouting out what they want and once that's done we ask how many dishes we have ordered and decided if we need more then we start looking through the menu to add a few more dishes. For that day we decided to just order "dim sum" but most people tend to add in a plate or two of the big plates of noodles / rice dishes to share out as it fills you up faster. *Royal China had a great selection to pick from so we were definitely spoilt for choice and it didn't take long for all the dishes to arrive pretty much at the same time - pretty good service. As you can see majority are served in a bamboo steamer which can all be stacked up to save table space. Royal China (Queensway) menu can be viewed here but I thought it would be easy to label each of the dishes for those who want to give "dim sum" a try but not sure what to order. I must admit I ate a few of the dishes then realised I forgot to take a photo but here are majority of what we ordered! Whilst me and Lucy were chatting away it didn't take us long to finish everything, yes the 3 of us managed to clear the whole table. The waiter kindly brought over some chinese Mooncake to celebrate the Moon Festival on 27th September this year. These indulgent treats only come by once a year and they are made in-house by Royal China's expert pastry chef and each of them contain up to 1200 calories each!!! But that didn't stop me from eating one whole of the little one by myself haha! This years varieties include a box of eight mini egg yolk custard Mooncakes for £23.80 (my favourite) or a box of the traditional large flavour Mooncakes which is available in double salted duck egg yolk and lotus leaf paste for £28.50. These are very popular gifts amongst chinese families and last year Royal China sold more than 1,000! I would say the egg yolk custard version is the modern take which is to me is a lighter version of the large Mooncake - see the pic below. These days many chinese restaurants around the world will serve "dim sum" at breakfast or lunch time and it's generally a weekly ritual for family's and friends to gather and enjoy a tasty meal of it together. 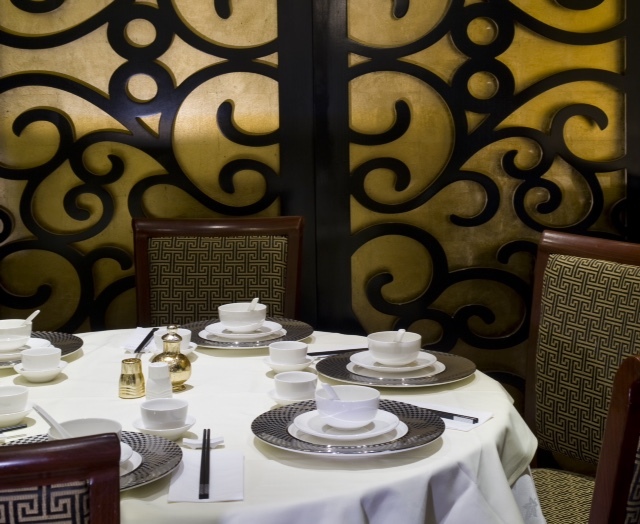 Royal China in Queensway is pretty big but it's not uncommon to have to wait for a table on busy popular days such as Sunday where the family typically gathers together. The food here is VERY good, both myself and hubby said it's worth trekking outside of London China Town (where we usually go) to just come here for dim sum next time. We visited the Queensway branch but there are restaurants across London - more details here. 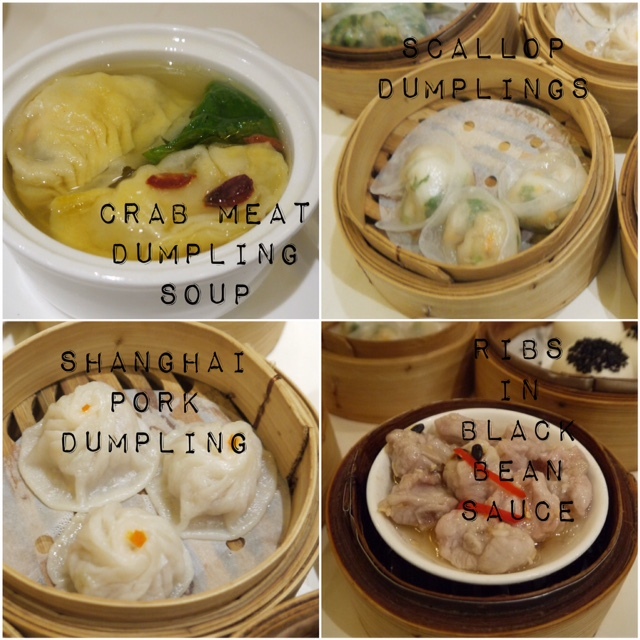 Have you guys ever tried "dim sum" if not have I tempted you?!?! I have been hanging out for a yum cha forever... ashamed to say I haven't had one since moving to London! Probably as it was always something I did with my family but I'm sure I can convince some friends to join me... I think I'll give Royal China a try! Yeah we grew up going with our family every sunday without fail and sometimes with our parents friends. I would highly recommend this place really good quality but it is slightly more expensive than china town but worth it! 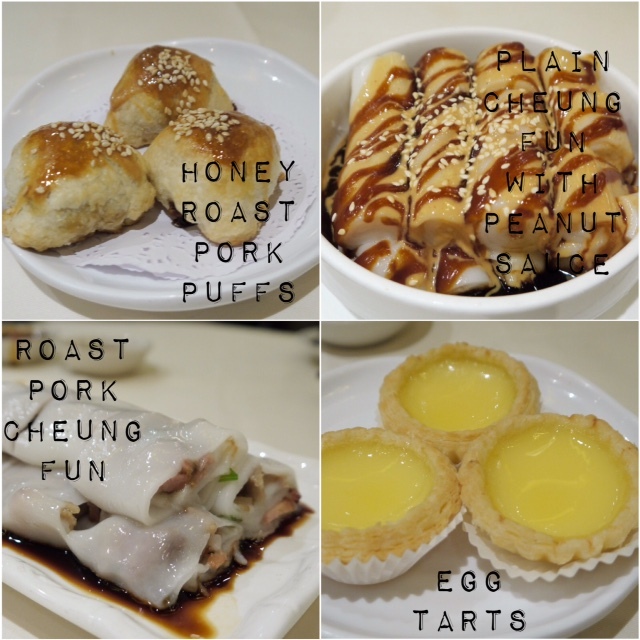 Haha def the best dim sum and we can't wait to go back for more peanut chung fun! Yum yum, Royal China looks great, I've been meaning to visit in ages. 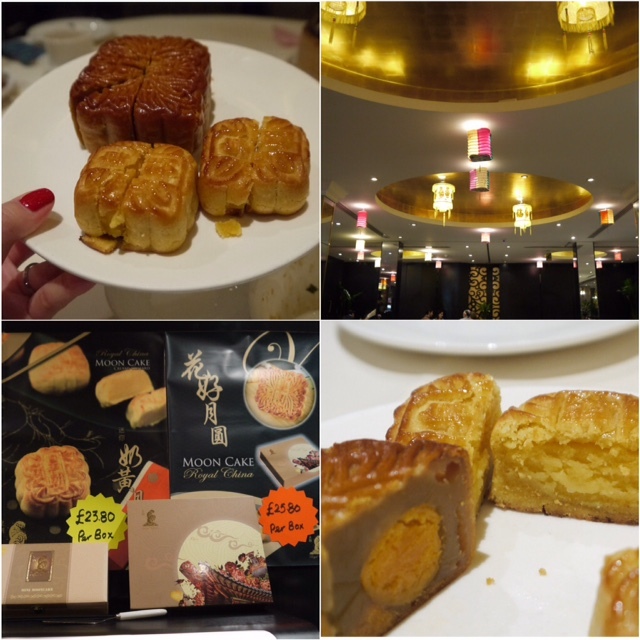 I didn't know they made their own mooncakes - the custard variations are my favourites to have in Hong Kong. Shame I just miss the Mid-Autumn festivities when I go back in November. You must go...maybe we can go with Michelle when she's back. The custard moon cakes are amazing and I am usually not a fan of the tradition style mooncakes as they can be quite sickly but the small ones are delicious I could have eaten 2 in one go!